Manhole/Wetwell Rehabilitation products are available to structurally repair underground structures. Fast setting non-shrink cement grouts, urethane or acrylate grouts, hand or spray applied mortars, hand or spray applied epoxy liners and manhole inflow inserts. We can help you design your program or assist you with or-equal products. When the properties you service use; a wet well, there are a number of things that need to be considered. Chief among these issues is the maintenance and health of the wet well on your customer’s property. Wet wells often house critical infrastructure that, without prompt and professional maintenance, can fall into a state of serious disrepair. The health of your client’s wet well is directly related to the health of their home or the profitability of their business. When a wet well requires rehabilitation, it is important to find security with the products made available by equipment providers like PrimeLine Products, Inc. 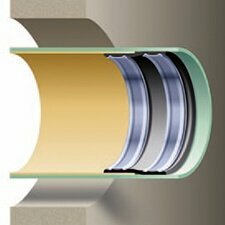 If your pipe lining business would like to expand your wet well rehabilitation offerings, consider equipping your professionals with wet well gear courtesy of PrimeLine. The process of wet well rehabilitation involves the use of an eco-friendly chemical sealant to provide a sanitary and secure barrier between wastewater and clean water in plumbing systems. This sealant creates a hypodermic barrier between the sanitary interior of homes or businesses and the unsanitary interior of a wet well. It is most often and most effectively applied with the use of a pressurized hose with a special dispersion head, designed to coat the walls of the wet well with a consistent seal. The importance of wet well rehabilitation is tremendous to the success of a home or business operation that utilizes one. A wet well holds a predetermined amount of wastewater, and when this amount is exceeded, an automatic pump engages and disperses the wastewater into a septic tank or municipal sewer system. 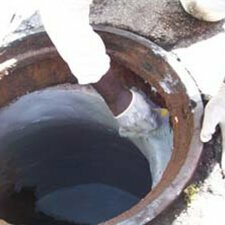 Making sure this contained wastewater is properly sealed is incredibly important in maintaining the integrity of your customer’s sewer and drain system, as bacterial colonies and hazardous fluids are contained within. Wet well rehabilitation performed with proper sealants and equipment will help ensure these hazards are contained, and that the residential or commercial plumbing systems function at their best. With PrimeLine Products, your employees can work knowing they are equipped with the most effective and efficient professional plumbing tools currently available. Whether you have offered wet well rehabilitation services for years, or if you would like to expand your current plumbing services into the area of wet well rehabilitation, seek equipment and advice from a professional plumbing equipment provider like PrimeLine Products. We are ready and able to provide whatever equipment and solutions your plumbing operation requires. Knowing the best way to operate your trenchless business can be tricky, especially when thinking about what services to offer customers in your services area. Knowing who to turn to for effective and efficient equipment provision is even more difficult. Our staff are passionate and our technicians are knowledgeable. For all of your wet well rehabilitation needs, look no further than PrimeLine Products, Inc.